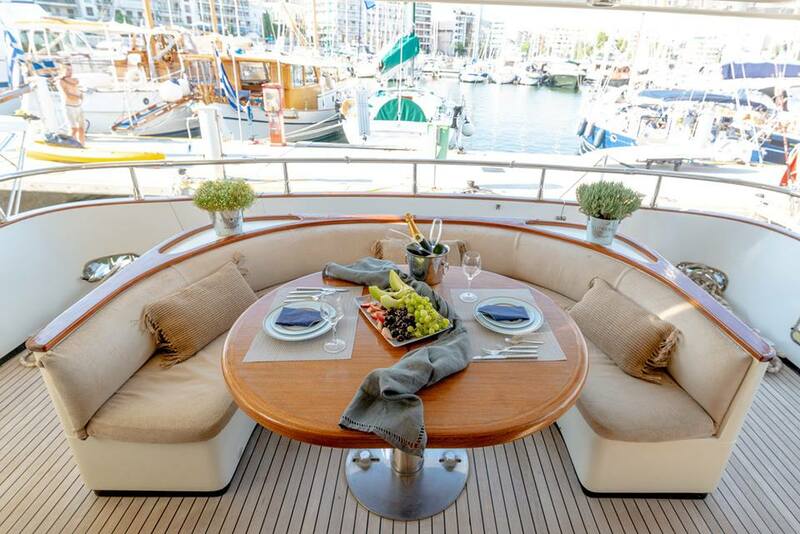 AELIA is a 23.20m (76' 1") motor yacht offering luxury charter vacations for up to nine guests in a four-cabin layout. 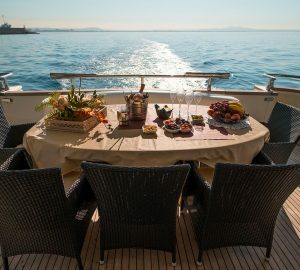 A crew of three provides professional on board service, ensuring all guests have a wonderful time on board. 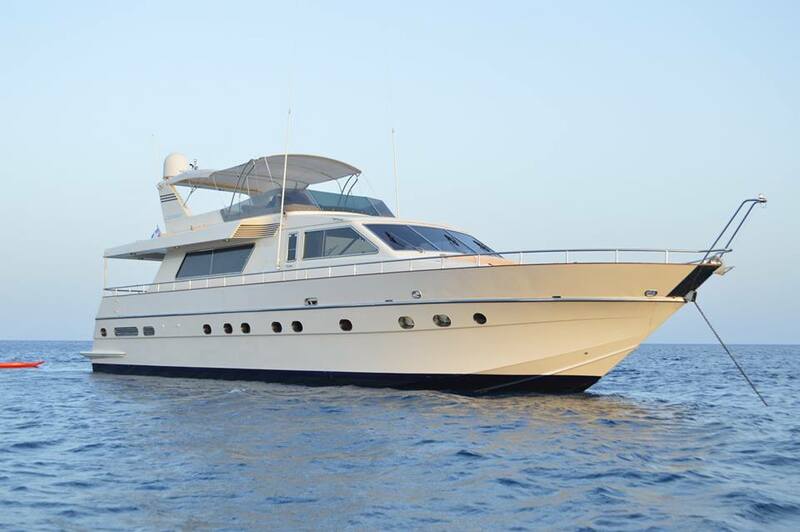 AELIA was built in 1998 and refitted in 2018. 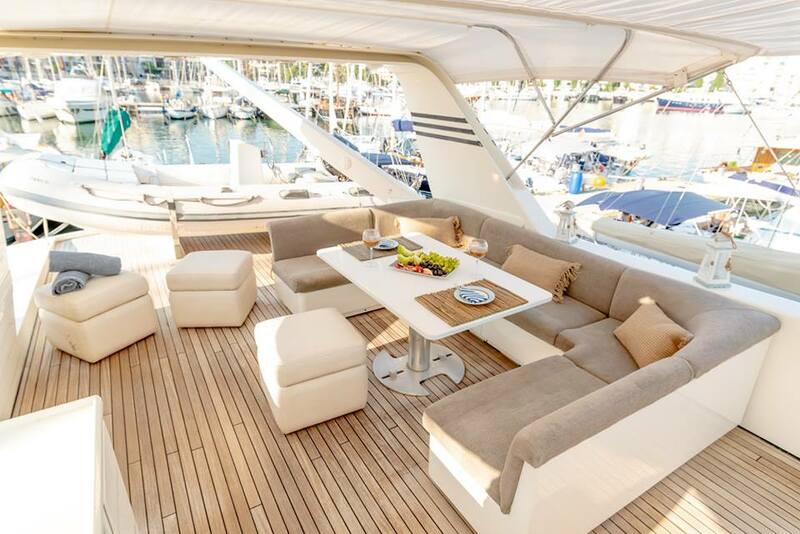 The main deck aft offers an abundance of seating with the C-shaped sofa curving around the elevated coffee table. 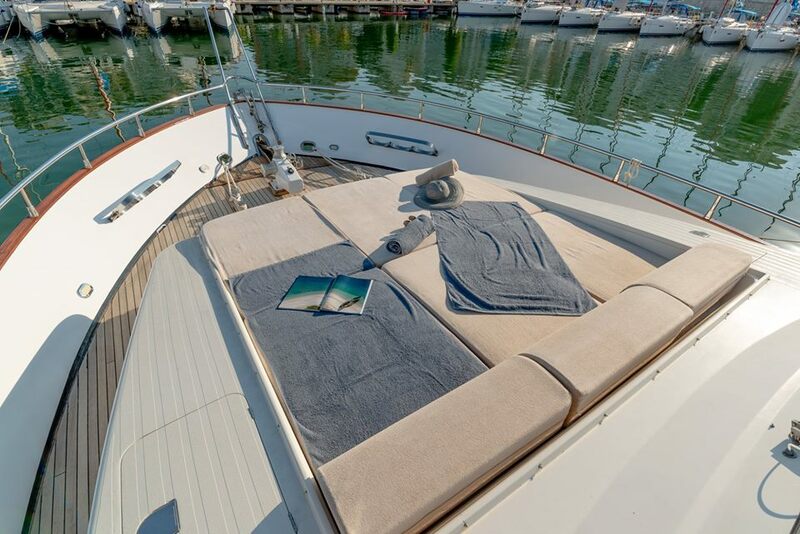 The foredeck is covered with a spongy sunbed where guests can take in uninterrupted views, and up on the flybridge the tender is stored along the stern with the area below the central hardtop has a C-shaped sofa and alfresco dining table to port. 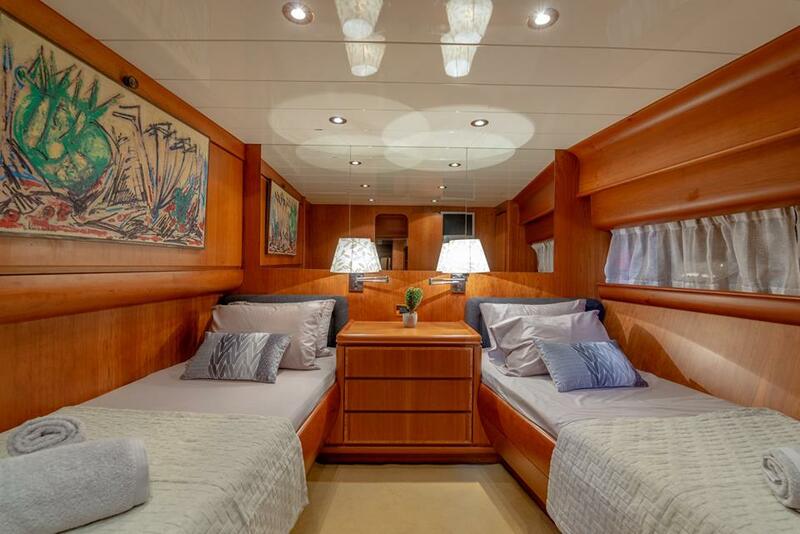 The lower deck contains the guest and crew accommodation. On the main deck, the pilot house is placed forward with the galley behind. The beautiful main salon takes advantage of broad windows stretching along both sides of the room for plenty of natural illumination. 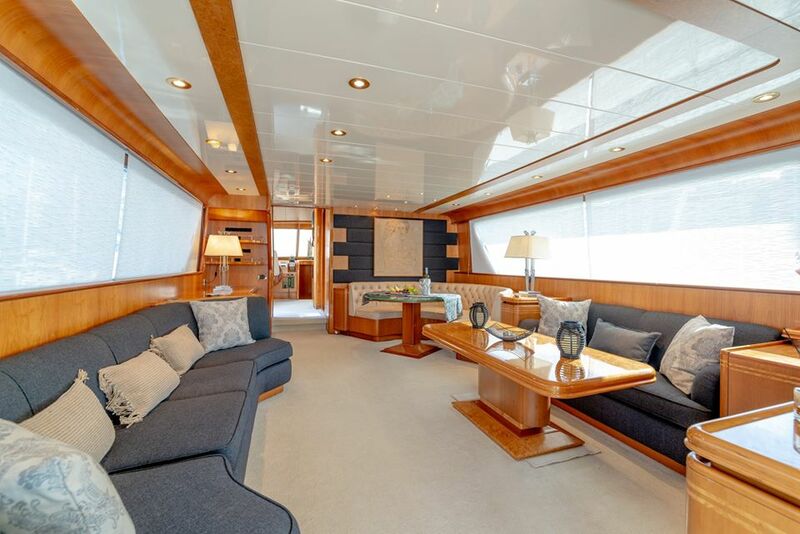 The elegant formal dining area is forward to starboard with a coffee table and sofa behind. Opposite, there is a large curving sofa where the whole family can gather for family films. Twin 1150 V12 MAN engines produce a top speed of 27 knots and a cruising speed of 19 knots. 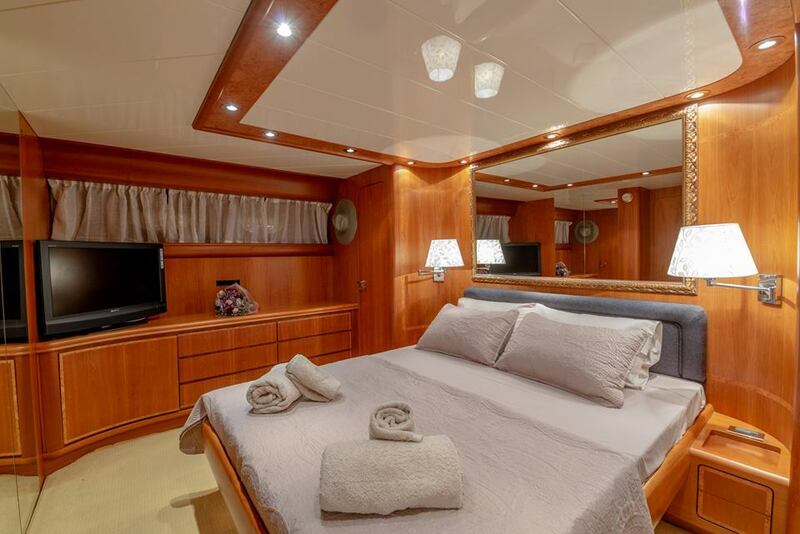 The accommodation sleeps a maximum of 9 guests over 4 en-suite cabins: 1 Master suite and 3 twin cabins. ~ The Master suite is furnished with a king-sized bed, a desk and a widescreen TV. 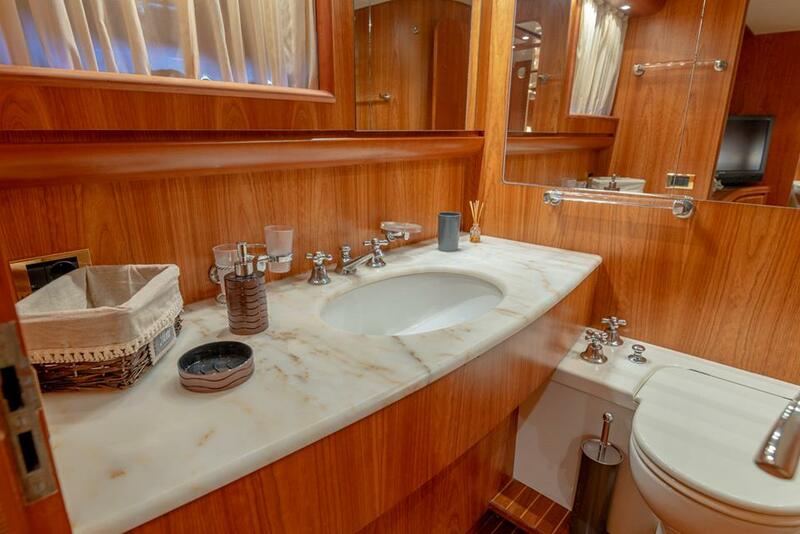 The twin cabins each have single beds and en-suite facilities, with one cabin also having a Pullman berth. ~The crew of 3 will provide the first-class service throughout the journey.